Mathematical Analysis: A Concise Introduction presents the foundations of analysis and illustrates its role in mathematics. By focusing on the essentials, reinforcing learning through exercises, and featuring a unique "learn by doing" approach, the book develops the reader's proof writing skills and establishes fundamental comprehension of analysis that is essential for further exploration of pure and applied mathematics. This book is directly applicable to areas such as differential equations, probability theory, numerical analysis, differential geometry, and functional analysis. ?Part One presents the analysis of functions of one variable, including sequences, continuity, differentiation, Riemann integration, series, and the Lebesgue integral. A detailed explanation of proof writing is provided with specific attention devoted to standard proof techniques. To facilitate an efficient transition to more abstract settings, the results for single variable functions are proved using methods that translate to metric spaces. ?Part Two explores the more abstract counterparts of the concepts outlined earlier in the text. 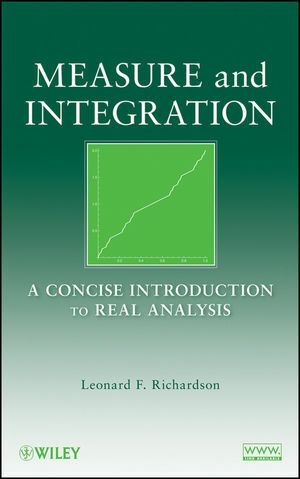 The reader is introduced to the fundamental spaces of analysis, including Lp spaces, and the book successfully details how appropriate definitions of integration, continuity, and differentiation lead to a powerful and widely applicable foundation for further study of applied mathematics. The interrelation between measure theory, topology, and differentiation is then examined in the proof of the Multidimensional Substitution Formula. Further areas of coverage in this section include manifolds, Stokes' Theorem, Hilbert spaces, the convergence of Fourier series, and Riesz' Representation Theorem. ?Part Three provides an overview of the motivations for analysis as well as its applications in various subjects. A special focus on ordinary and partial differential equations presents some theoretical and practical challenges that exist in these areas. Topical coverage includes Navier-Stokes equations and the finite element method. 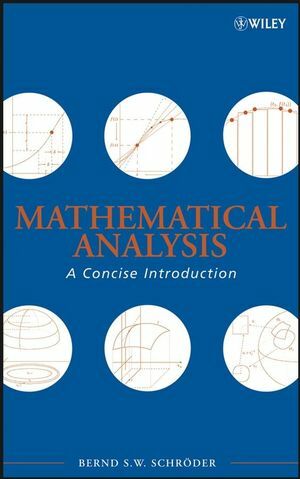 Mathematical Analysis: A Concise Introduction includes an extensive index and over 900 exercises ranging in level of difficulty, from conceptual questions and adaptations of proofs to proofs with and without hints. 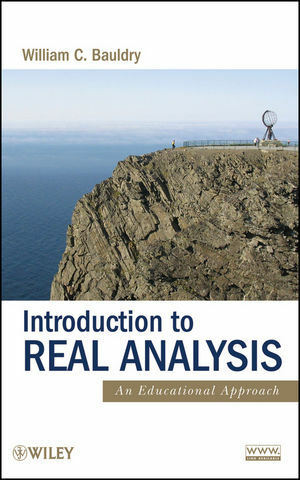 These opportunities for reinforcement, along with the overall concise and well-organized treatment of analysis, make this book essential for readers in upper-undergraduate or beginning graduate mathematics courses who would like to build a solid foundation in analysis for further work in all analysis-based branches of mathematics. Bernd S.W. Schroder, PhD, is Edmondson/Crump Professor in the Program of Mathematics and Statistics at Louisiana Tech University. Dr. Schröder is the author of over thirty refereed journal articles on subjects such as ordered sets, probability theory, graph theory, harmonic analysis, computer science, and education. He earned his PhD in mathematics from Kansas State University in 1992. PART I. ANALYSIS OF FUNCTIONS OF A SINGLE REAL VARIABLE. 1.3 Lowest Upper and Greatest Lower Bounds. 1.4 Natural Numbers, Integers and Rational Numbers. 1.5 Recursion, Induction, Summations and Products. 3.3 One-Sided Limits and Infinite Limits. 3.5 Properties of Continuous Functions. 4.3 Rolle's Theorem and the Mean Value Theorem. 5. The Riemann Integral I. 5.1 Riemann Sums and the Integral. 5.2 Uniform Continuity and Integrability of Continuous Functions. 5.3 The Fundamental Theorem of Calculus. 6. Series of Real Numbers I. 6.1 Series as a Vehicle to Define Infinite Sums. 6.2 Absolute Convergence and Unconditional Convergence. 7.1 The Algebra of Sets. 8. The Riemann Integral II. 8.2 Lebesgue's Criterion for Riemann Integrability. 9.4 Lebesgue Integrals vs. Riemann Integrals. 10. Series of Real Numbers II. 10.1 Limits Superior and Inferior. 10.2 The Root Test and the Ratio Test. 13.1 Approximation with Taylor Polynomials. PART II. ANALYSIS IN ABSTRACT SPACES. 14. Integration on Measure Spaces. 14.4 Integration of Measurable Functions. 14.5 Monotone and Dominated Convergence. 14.6 Convergence in Mean, in Measure and Almost Everywhere. 14.8 Product Measures and Fubini's Theorem. 15. The Abstract Venues for Analysis. 15.1 Abstraction I: Vector Spaces. 15.2 Representation of Elements: Bases and Dimension. 15.3 Identification of Spaces: Isomorphism. 15.4 Abstraction II: Inner Product Spaces. 15.5 Nicer Representations: Orthonormal Sets. 15.6 Abstraction III: Normed Spaces. 15.7 Abstraction IV: Metric Spaces. 15.9 Another Number Field: Complex Numbers. 16. The Topology of Metric Spaces. 16.4 Open and Closed Sets. 16.6 The Normed Topology of Rd. 17. Differentiation in Normed Spaces. 17.2 Matrix Representation of Linear Functions. 17.4 The Mean Value Theorem. 17.5 How Partial Derivatives Fit In. 17.6 Multilinear Functions (Tensors) . 17.8 The Implicit Function Theorem. 18. Measure, Topology and Differentiation. 18.1 Lebesgue Measurable Sets in Rd. 18.2 C1 and Approximation of Integrable Functions. 18.3 Tensor Algebra and Determinants. 19. Manifolds and Integral Theorems. 19.2 Tangent Spaces and Differentiable Functions. 19.3 Differential Forms, Integrals over The Unit Cube. 19.4 k-Forms and Integrals over k-Chains. 20.3 The Riesz Representation Theorem. 21.3 Separation of Variables, Fourier Series and Ordinary Differential Equations. 21.5 The Navier Stokes Equation for the Conservation of Mass. 22.1 Banach Space Valued Differential Equations. 22.2 An Existence and Uniqueness Theorem. 23. The Finite Element Method. C. Natural Numbers, Integers and Rational Numbers.